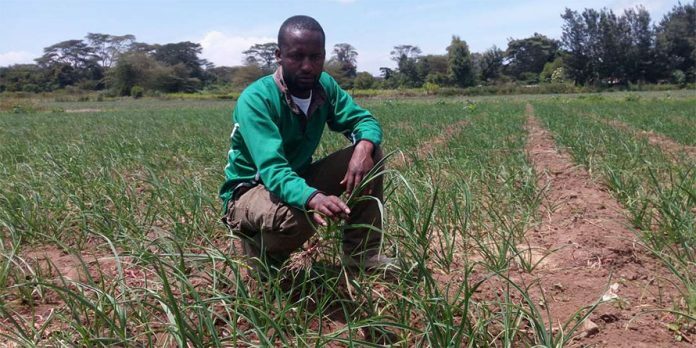 BY BUSINESS DAILY: Garlic farming in Kenya: Moses Karimi Githaiga has been farming garlic for about six years now in Kiawara, a hamlet in Kieni Sub County, about 35 kilometres from Nyeri town. Kieni is considerably hot and dry and has black cotton soil, conditions which favour tolerant crops such as onions. In fact most farmers in the area grow onions. He drives us to his farm one kilometre from his home and he tells us that contrary to other farmers, he chose to grow garlic for bulb and seeds due to its higher returns. A single garlic can yield up to eight plants, usually from its cloves. “I started farming garlic in 2012 on a quarter acre farm. I planted 25 kilos of the onions and harvested 800 kilos. “I sold the produce at Sh100 a kilo, earning Sh80,000 that season,” says Mr Githaiga,33, who now cultivates the crop on a 10-acre piece of land. After a successful experiment in 2012, Mr Githaiga increased his acreage to one acre in 2013, where he harvested 4,800 kilos of garlic. “Last season I earned Sh. 4.8 million from 13 acres. But now I vary my planting to supply my customers all year round,” says the proprietor of Saumu Centre Limited. He ferries the produce to Nairobi himself but some clients buy the onions in large scale from the farm. On average, a kilo of garlic goes for Sh180 while garlic seeds fetch Sh450 for a similar quantity. Before venturing into the garlic farming in 2012, he lived a squalid life as a hawker, and sharpening knives in Nyalenda and Manyatta slums in Kisumu. However, the idea of venturing into farming kept nagging his mind. Once in a while after his hawking business, Mr Githaiga — a secondary School leaver— would camp in a cybercafé to research on garlics; how to grow them and their demand in the market. “From my research I realised there was a huge demand for the onion variety. In fact most of the garlic onions that were available in our markets were imported from China,” he says. To propagate own garlic seedlings, the bulbs are sun-dried for a month after which they are split into cloves before being disinfected in chlorine. From there the onion bulbs are cleaned using organic soap to wash away the disinfectant and any dirt. After the cleaning, salt is sprinkled on the bulbs to stop formation of moisture on bruised surfaces of the onions. Thereafter, the bio-stimulant is mixed with water and the onions immersed in the solution for 12 hours. The farmer has employed 10 people to help him in the farm work which include making of the seedlings. He also hires about 13 other people when there is too much work on the farm. After harvesting, he keeps 20 percent of the produce for seed propagation for the next season and for sale to farmers. He now trains farmers from nearby counties of Meru, Embu, Kirinyaga and Laikipia on the new venture. “I charge Sh3,000 for the training and provide them with reading and reference manuals,” he says, adding that he trains 100 farmers every month. The farmer says the demand for garlic in Kenya keeps expanding yet the supply is sow putting lots of strain on his production. “I receive countless phone calls daily on my customer service desk from various supermarkets and wholesale buyers. As at now they need 150,000 kilos of garlic yet I can only provide 50,000 kilos,” Mr Githaiga notes adding that local farmers need to embrace cultivation of the bulbs to help close the yawning gap. Garlic from Kieni area, he says, is preferred by most local consumers for its high quality compared to those imported, which have a shorter shelf-life. 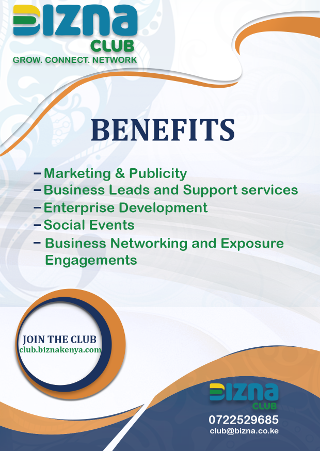 To enhance his output and meet the demand, Mr Githaiga now plans to expand his acreage to 32 acres and employ more workers. “Once the solution is ready, we immerse 150 kilos of cloves in 100-litre solution of water and hormones. The contingent is left overnight inside the solution at temperatures between 12 to 16 degrees Celsius,” he explained, adding they are then transferred to a special ventilated structure where they are stored for one month after which they can now be planted directly. The hormones aid in breaking seed dormancy enabling them to germinate within less than a month instead of four. Garlic plant propagation requires deeply cultivated beds with plenty of compost manure added to enrich the soil and enhance drainage. Dig trenches one inch deep and two inches wide keeping them 6 inches apart and plant individual cloves at the same spacing. Separate the cloves, ensuring the papery material is intact. Place each clove seed with the pointed top upright and cover the trenches with soil. Mulching is allowed. Once planted, they take four months to mature, and are watered once every week, making it a viable agribusiness in semi-arid regions. Give us his contact,we need to learn. Great job . Would like to visit your farm. Advice. Is it possible to get this contact please.